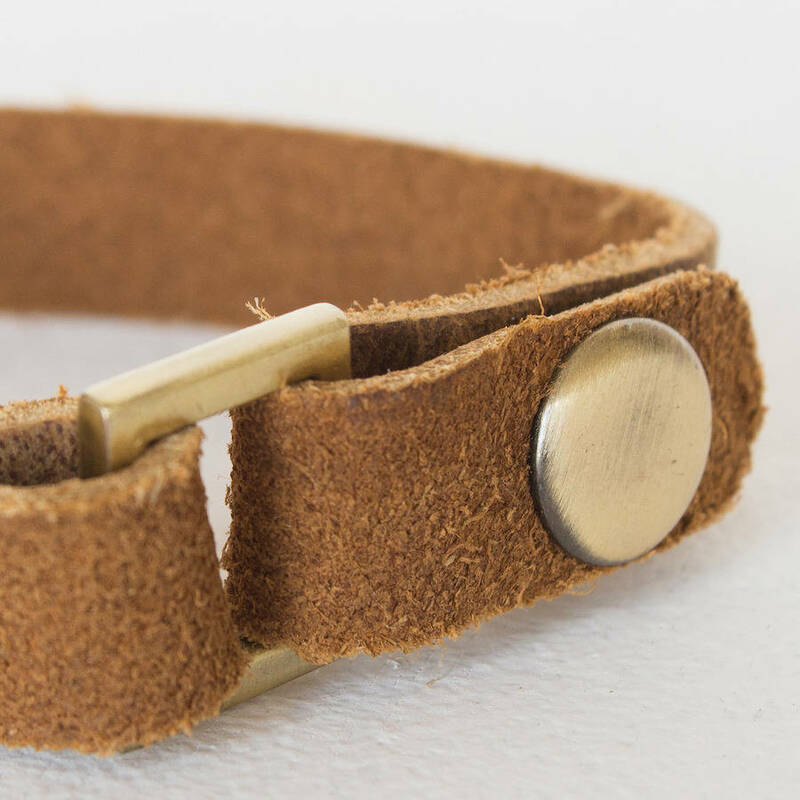 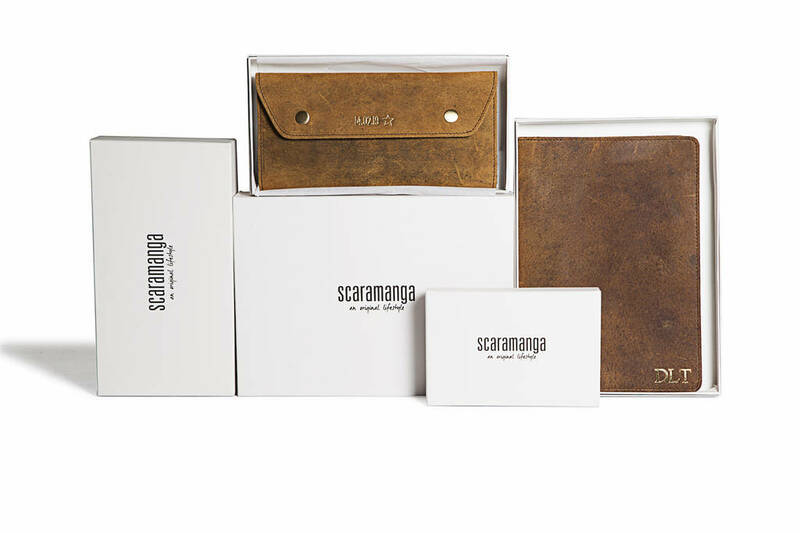 This hand-crafted brown leather strap bracelet with chic brass closures makes a unique present. 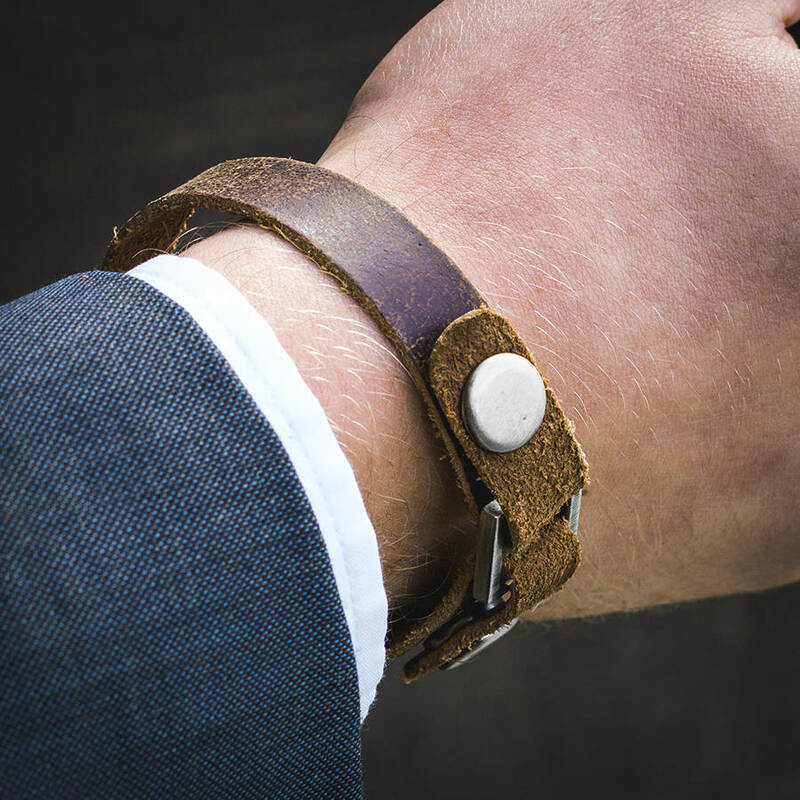 Our leather strap bracelets are the perfect fit for both men and women, offering a smart and rustic look. 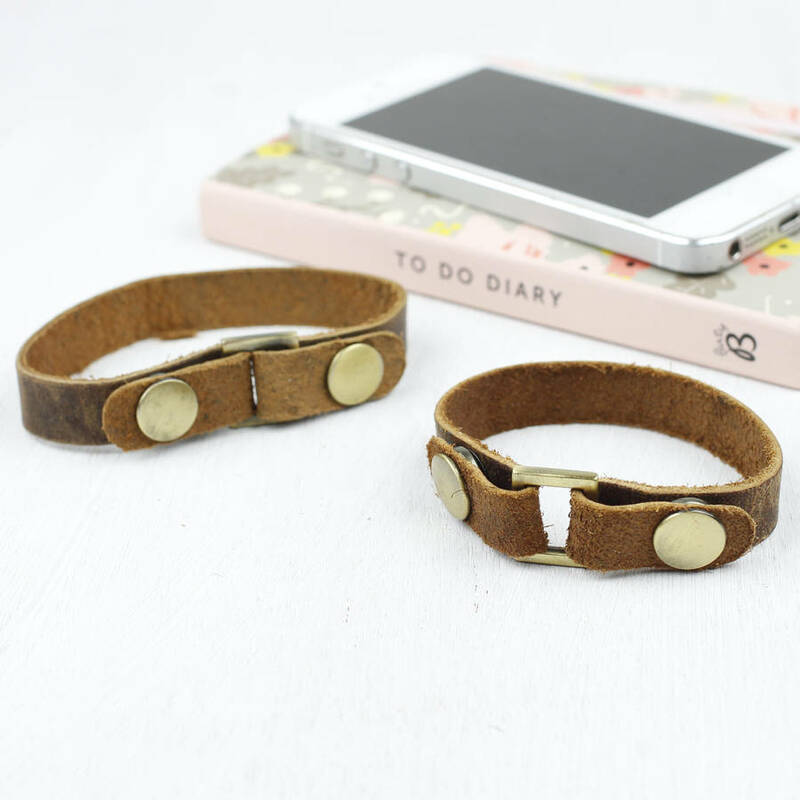 They can be worn alone or layered with other bracelets or a watch. 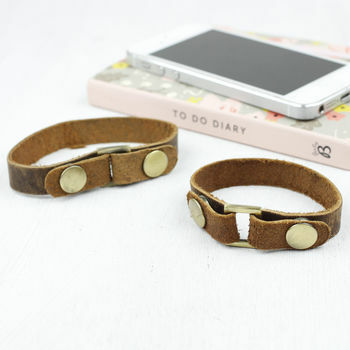 Each bracelet is single strap of leather that folds over and through a small square ring and snaps closed on both sides. 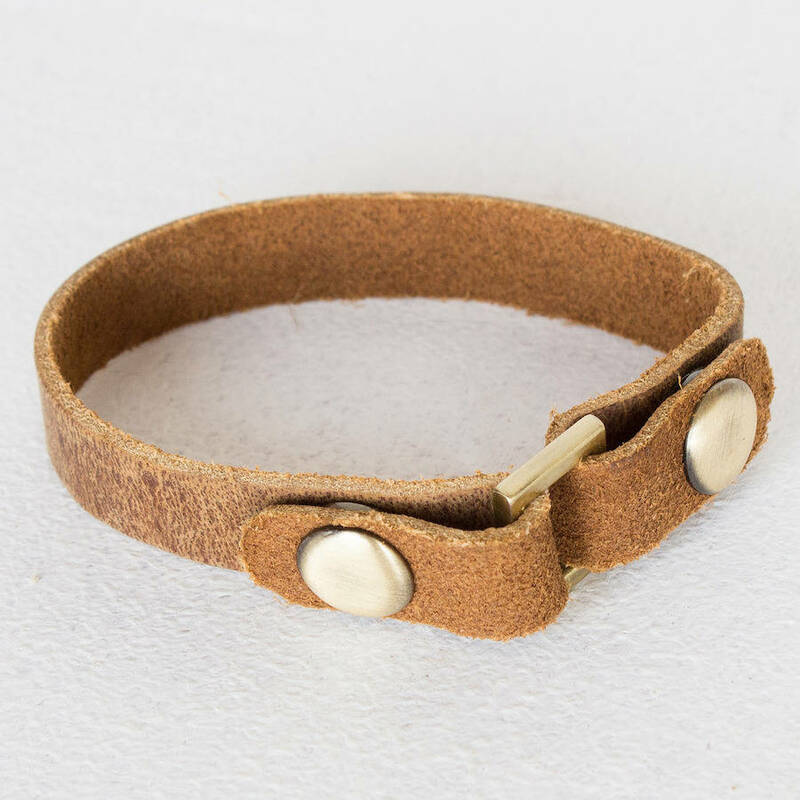 This simple leather bracelet is versatile, stylish and super comfortable - you can't go wrong with a gift like this! 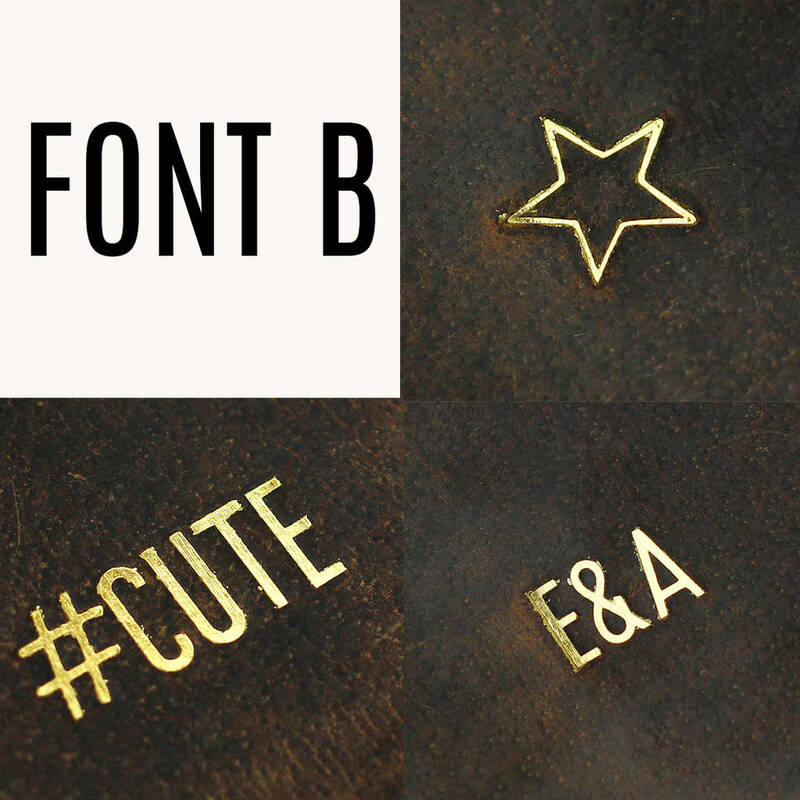 Please note that the personalisation on the bracelet can only be completed in font B. Font B is a contemporary font, max 15 characters. 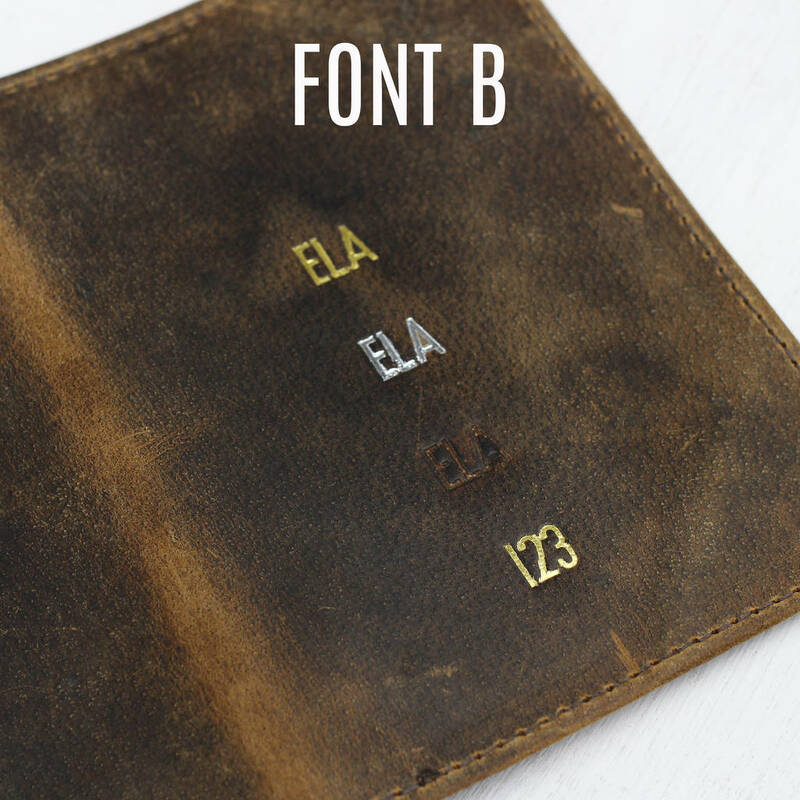 Can also include numbers, a hashtag or an ampersand.